Please contact us to be notified about available does, bucks, or kids available in the Spring. Doe kids from SGCH dams that appraise 91 or higher will be listed at $750. Buck kids are $500. Doe kids from SGCH dams that appraise 90 or lower list at $600, with bucklings at $400. Doe kids with dams that have SG or GCH designations are $500, with bucklings at $350. Doe kids from first fresheners, or dams that are not yet SG are listed at $400, with bucklings at $250. Milkers that are not yet SG or GCH and appraised less than 88 (or not appraised) are $400, and yearlings with appraisal scores of 88-89 are $500 without SG status, and $750 if they have already acquired SG or GCH titles. Prices are ALWAYS negotiable, depending on what animals we have in stock, and we give discounts for multiple purchases. Free buck with purchase of three or more does at list price (same quality if available). Fertility is guaranteed first breeding season after purchase, or you may exchange for new animal of equal quality when available. We may offer specials according to what kind of kid crop we have! To order a kid, check out our "Champion Does" and "Does" pages for prices of available kids. TERMS: We are Scrapie EXPORT CERTIFIED. 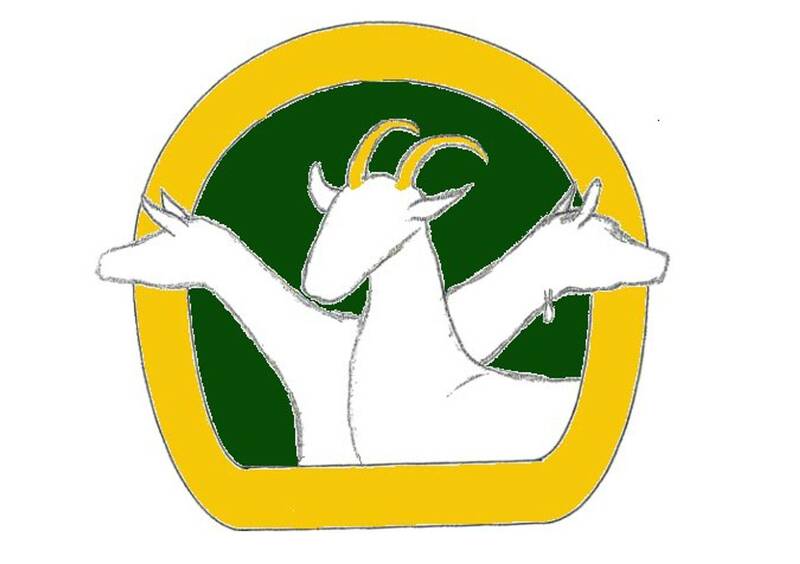 All goats sold are guaranteed to be free of CL, CAE, Johnes, TB, Brucellosis and Scrapie at time of sale. There is a 100% money back guarantee if any of those diseases are diagnosed by an accredited veterinarian within 1 month of sale. There is also a fertility guarantee for breeding animals for the first breeding season only. The goat will be replaced with one of equal or greater value when available (probably the next kidding season). Claims must be made by the end of the first breeding season, and the doe or buck in question should have been bred to one with proven fertility. Premium show animals ($500-up) will be guaranteed not to have any disqualifying genetic defects identified the first year (money back or replacement). There is a 2 week money back guarantee for death due to infectious disease that is determined by a veterinarian to have been acquired before leaving Pony Trail Farm. 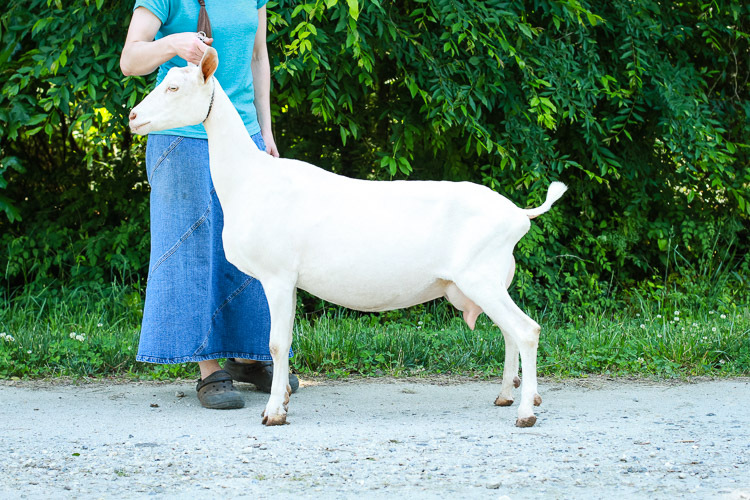 Goats will be current on CDT vaccine, deworming and hoof-trimming at the time of sale. Transportation is available within 300 miles at a rate of $1.25 per one-way mile as determined by MapQuest. Kids that are reserved must be picked up or delivered at time of weaning (2 months). Any reserved kids held beyond two weeks past weaning will be assessed a boarding fee of $25 per week. Any animals reserved that are not picked up within one month (after weaning or after order for adults) will forfeit deposit and animals will be relisted. Exceptions may be made with advanced notice of extenuating circumstances. Animals are sold with ADGA registration papers or completed application, unless requested otherwise. Sparkle is our youngest doe out of Dzimianski's WM Pixie Dust, freshening for the first time in 2018 as a two-year-old. See Doe page for her picture. Doe kids priced at $500. Alana freshened as a yearling in 2017, and shows promise as a producer and show animal. See Doe page for her picture. Doe kids priced at $500. Dairy Queen is from one of our best-ever milking lines - Miracle, White Magic and Charity. Her milking potential is awesome! She freshened in March with a very nice doe kid and the dam-daughter pair is for sale. Dairy Queen is from one of our best-ever milking lines - Miracle, White Magic and Charity. Her milking potential is awesome! She freshened in March with a very nice doe kid and the dam-daughter pair is for sale. E-mail us if you would like more information: ponytrail@juno.com.